A bathroom remodel is a fantastic investment for your home. 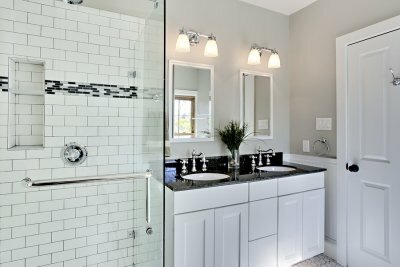 Whether you are planning on selling your house, or are simply looking for an effective way to spruce up your living space, a bathroom remodel project may be the right choice for your next home improvement project. To get the most out of your bathroom remodel, you can consult with plumbers serving Jacksonville . From planning your bathroom design to installing your fixtures, your plumber will be able to assist you with every step of your bathroom renovation. Read on for a closer look at some of the latest bathroom remodeling trends that you may want to consider for your home. This year, many bathroom designers are looking to the Mediterranean as sources of inspiration. Countries such as Spain and Portugal use rich metallic colors and interesting tile patterns in their traditional architecture. When you are planning a Mediterranean bathroom, you may want to incorporate exotic features, such as terra cotta tiles or a backsplash in a rich shade of gold or turquoise. Ample storage is a bathroom trend that will never go out of style. Whether you have a large bathroom, or are working with a smaller space, incorporating plenty of storage into your remodel will boost the function and appeal of your design. To add decorative storage into your bathroom, you can install built in shelving. Antique furniture can also add a unique appeal to your new bathroom design. Subway tile mixes old world charm with new world aesthetics. When you are planning out your bathroom remodel, you may want to consider using subway tile for your walls, shower, or even flooring. With subway tile, you will provide your bathroom with a clean and polished look. For those homeowners who are remodeling on a budget, subway tile is an affordable option. Your plumbers can provide you with more tips and ideas for your stylish new bathroom design. While you might be looking forward to having your family over for the holidays, your plumber serving Jacksonville is preparing for a busy time of year. If you want to keep your water heater, sewer line, and other plumbing components in proper shape through the holidays, it is important that you treat them properly. Watch this video for tips on caring for your plumbing over the holidays. Many homeowners make similar plumbing mistakes throughout the holiday season, including improper use of the garbage disposal and sink. Your garbage disposal is not meant to be an alternative to your trashcan; rather, it should just remove the small food scraps that are leftover after your meal. Never pour grease down your garbage disposal or your sink. While some think that hot water will solve a grease buildup, cold water will actually solidify the grease and make obstructions easier to break down. A kitchen remodel might be just what you need to bring an exciting new look to your home. There are many factors to consider, however, so it helps to plan ahead. Think about the appliances you will use in your kitchen design, and make use of creative techniques for opening up your space. Getting to know your plumbing can also help you avoid costly and invasive slab leak repair down the road. 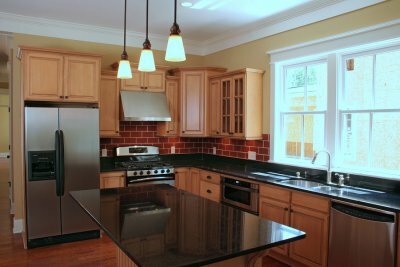 Here is a closer look at a few smart tips for planning your kitchen remodel. There are many different aspects of your kitchen; aesthetic design, functionality, and affordability are just a few. The right appliance will satisfy your needs across all of these areas. Choose appliances that fit in with the design that you aim to cultivate with your new kitchen. Look into the efficiency that your appliance options offer you and choose the ones that can help you save on your energy bills. Consider the size of your family as well as the size of your kitchen so that you can find appropriately sized appliances for your space. The right kitchen appliances will motivate you to stay in and cook when fast food commercials begin to tempt you. Many homeowners choose to remodel their kitchens because their original designs did not make the most of the space . Even smaller kitchens can feel more spacious when you apply certain design techniques. Natural lighting can give your kitchen an open, airy feel; consider planning for large windows that will let in plenty of sunlight. You can also clear up some room and facilitate traffic by maximizing your vertical storage options. You might want to hang your pots and pans, build shelving, or find other creative ways to organize. One of the most important components of your kitchen remodel is your plumbing. Knocking down walls and moving appliances can become very expensive very quickly, so it pays to get to know your plumbing system. Keep your pipes where they are and work around them for a successful kitchen remodel. One of the many responsibilities that come along with owning a business is finding a reliable commercial plumber in Jacksonville to keep your workplace in shape. Between sewer issues and leaky pipes, it helps to find a local plumber you can trust and continue to develop your relationship; this way you will have a familiar resource to call if you find yourself dealing with an emergency. Read on for a few helpful tips in choosing a commercial plumber. Residential plumbing is imperative, but commercial plumbing may be even more important. Depending on the type of business you run, you might see thousands of new faces every day. 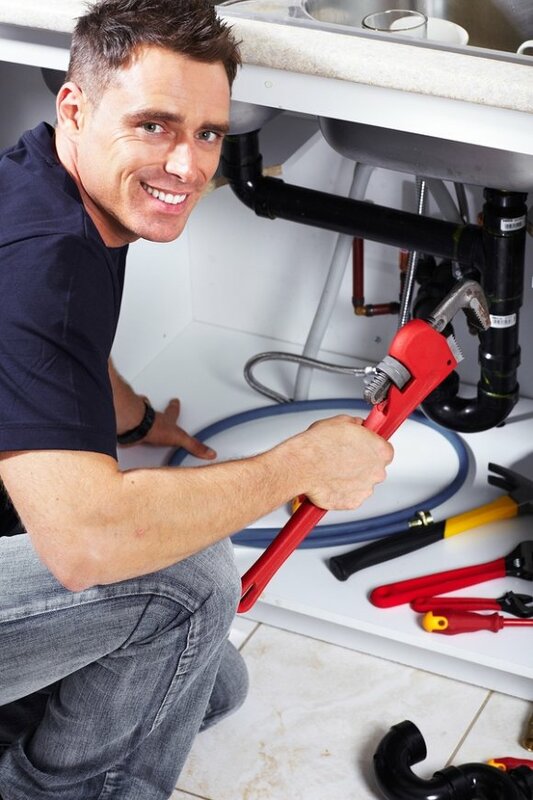 You will need a skilled and experienced plumber to ensure that your plumbing system remains in top shape and offers you the peace of mind you need to focus on your business. Choose a commercial plumber that has been active for many years. Eagerton Plumbing, which has over 50 years of experience, is one qualified option that many business owners turn to. It is also wise to work with a company that will offer a free estimate. Be sure to understand exactly what services your commercial plumber will offer before signing a contract.